We have quite a good number of permanent offices available for you for the development of your activity. 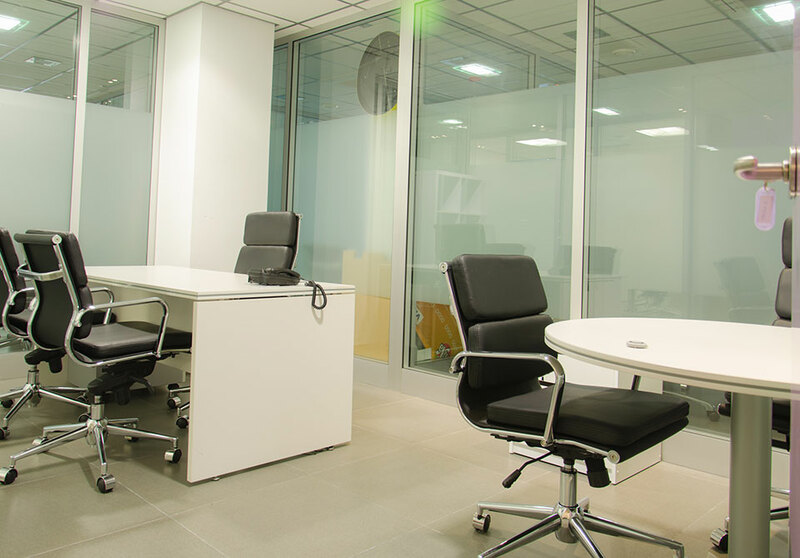 Starting at 180€/month you can rent an office in the best location in Almería, with staff that will attend your calls and will pick up your deliveries if you are not present at the moment, this is one of the smallest advantages you have once you are installed in Negocia Business Area. You will also be sorrounded by several companies in an exclusively business dedicated space, this means that you can get advantage of all the contacts and sinergies you can get here and the good image you will project to your customers when they visit your facilities. You will also have at your disposal the meeting and conference rooms best equiped and with the right capacity depending on the situation. Send us an e-mail using the sidebar form an we will answer before 24 hours to give you the best adapted solution for you.